The SHSU Symphony Orchestra will present a concert featuring the music of Tchaikovsky, Canteloube and Respighi on Saturday evening (March 1) at 7:30 in the Killinger Auditorium of the George J. Beto Criminal Justice Center. Tickets are $8 general admission and $5 with an SHSU I.D. Carol Smith is the conductor, and Mary Kay Lake is the featured soloist. 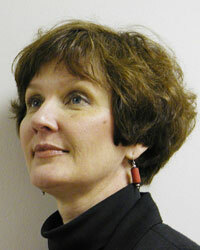 Lake, a soprano, is the director of Opera Workshop and instructor of voice at SHSU. She is an active recitalist and soloist, and performs many operatic and musical theater roles in regional and university opera theaters. The music of the evening includes "March Slave, Opus 31," "Chants d'Auvergne" and "Pini di Roma." "March Slave" was composed by Peter Tchaikovsky in 1877, and is said to be constructed from Slavonic or Serbian airs and the Russian national hymn. It was presented at a concert given for the benefit of the soldiers wounded in the war between Turkey and Serbia, which came to be known as the Russo-Turkish War. The piece opens with the lower strings presenting the distant and preparatory march. A dark and quiet melody rises from the accompaniment, but is soon twisted into a sweetly beautiful tune. The music then becomes a heroic march that accelerates to the last chords of the piece. Joseph Canteloube compiled the "Chants d'Auvergne," or "Songs of the Auvergne," from the folk and merry-making tunes he heard as he traveled through France. The first song, translated as "The Shepherdess in the Fields," and the second song, "Bailero," is descriptive of a dreamlike state in a wide open countryside as the singer beckons the shepherd. The last three songs are dance-like and playful. "Pini di Roma," or "The Pines of Rome," has four scenes beginning with children at play in the pine groves and concluding with pines guarding the landscape along the Appian Way. Trumpets sound and a consular army bursts forth towards the Sacred Way mounting in triumph to the Capitol. The composer's wife wrote that at the premiere of "Pini di Roma," the audience "booed and hissed" at the abrupt end of the first scene, but were "gripped" by the second and third scenes, and gave "frantic applause such as had never before been heard" that "drowned the last bars of the poem." Is it possible for a kid from the 'hood and a redneck from the Deep South to find anything in common? Joe Martin---professor, author, speaker and educational consultant---will share his personal story about two college roommates who came from opposite cultural backgrounds, yet were able to overcome racism and form a lifelong friendship, when he presents "True Colors" on Tuesday (Feb. 25) at 5:45 p.m. in the Lowman Student Center Ballroom. Martin's presentation is a part of the Society of Success and Leadership Speaker Series, sponsored by the SHSU Department of Student Activities. The public is invited to hear a discussion by Eric Margolis, director of Rice University's cognitive sciences program, on Wednesday (Feb. 26) at 3:30 p.m. in room 315 of the Lowman Student Center. Margolis will talk on "Acquiring Number Concepts." His presentation is sponsored by the Psychology Honor Society Psi Chi and the Philosophy Honor Society Phi Sigma Tau. Margolis is considered a specialist in the philosophy of the mind, cognitive science and language. Almost 100 years ago at Sam Houston State University, students and faculty from every department, campus organization and residence hall gathered on March 2, the date of Sam Houston's birthday, to march from Austin Hall to Houston's grave site at Oakwood Cemetery in honor of the university's namesake and to celebrate Texas Independence Day. The tradition will be reinstated this year, and members of the university community are invited to participate with the Walker County Historical commission and the City of Huntsville to celebrate General Sam Houston's Birthday, Texas Independence Day, Texas Flag Day and Walker County Pioneer Day on Sunday, March 2, by marching to Oakwood Cemetery. Participants will gather at 1 p.m. at Austin Hall on the University Avenue side. Flags, banners, placards or posters to identify groups are encouraged. The route is from Austin Hall to University Avenue, five blocks through downtown, and over to Oakwood Cemetery. There will be speakers, historic celebrations and refreshments. For more information, contact Caroline Castillo Crimm, professor of history, at 936.294.1475. The Walker County Historical Commission, Sam Houston Memorial Museum and Sam Houston Statue and Visitors Center will host a luncheon at 12:15 in the Katy and E. Don Walker Sr. Education Center of the Sam Houston Memorial Museum on 19th Street. Tickets are $15 per person. Texas historian and author Francis E. Abernethy will speak at Sam Houston's gravesite at Oakwood Cemetery at 2 p.m.
Abernethy is distinguished regents professor emeritus of English at Stephen F. Austin State University, the executive secretary of the Texas Folklore Society and editor of its publication, the curator of exhibits for the East Texas Historical Association, and a member of the Texas Institute of Letters. He is the editor of Tales From the Big Thicket, Built in Texas, Legendary Ladies of Texas, Folk Art in Texas, Texas Toys and Games, and Juneteenth Texas, among others. He has published poetry, short stories, a folk music book entitled "Singin' Texas," a book of legends, and a history of the Texas Folklore Society. He has lectured widely, has worked in the caves of Mexico and the Yucatan, is a world traveler, and plays the bass fiddle in the East Texas String Ensemble of Nacogdoches. Sam Houston State University students will have the chance to experience Cajun culture and music as well as ask questions of musicians from South Louisiana when artists from Cajun country visit their classes on Thursday (Feb. 27). The members of the Louisiana Jambalaya Band, along with famed Cajun musical artist D. L. Menard, will meet with students in several English, music, and communication classes. Speech communication professor Terry Thibodeaux will facilitate the class seminar/forum, which is a continuation of this week's Texas Crossroads class. The class is exploring Southeast Texas from a variety of perspectives including social, literary and scientific. The university community and the public are invited to a Mardi Gras dance Thursday evening from 8:30 until midnight in the Lowman Student Center Ballroom. Students with an SHS ID will be admitted free. Non-students will be charged $5. Members of the SHSU chapter of the Public Relations Student Society of America have been participating in the annual Bateman Case Study Competition this spring and will conclude a portion of the event this week on campus. On Thursday (Feb. 27) from noon until 3 p.m., the organization will offer pool tables and chocolate Nutella snacks in the Kat Klub of the Lowman Student Center to students free of charge. The competition is a national case study contest where students learn how to solve problems for a company and its product using the public relations techniques they learn in class. This year the Bateman Case Study features the chocolate hazelnut spred, Nutell, owned by Ferrero, USA, Inc. Artist Robin Dru Germany will be honored with a reception on Thursday (Feb. 27) from 5 to 7 p.m. in the Gaddis Geeslin Gallery. Germany's exhibit, "Scenes from a Small Town," is on display in the gallery through March 28. The 15th annual Sam Houston State Bearkat Football Dinner and Auction will be held April 11 at the Walker county Fair Grounds. A social hour and silent auction will take place between 6 and 7 p.m., and dinner will begin at 7 o'clock. An auction will follow. Tickets are $30 per person, $50 a couple, and $200 for a table of eight. For more information call the SHSU football department at 936.294.1735.